Optimal plant health and water conservation is the core consideration when designing and installing irrigation systems. Our designers can provide a comprehensive irrigation system that solves all of a site's challenges. 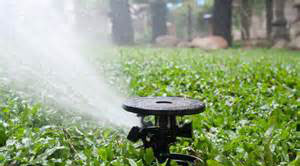 All irrigation systems are installed and maintained by our trained, in-house experts. Drip and micro irrigation systems are specified for plant material, and sub-surface systems are typically specified for turf and athletic fields. Sprays and rotors are often used for larger turf areas with a focus on minimizing water usage.